As part of a continuing exploration here, I am happy to share this next example of and reflection upon “Open Computer” or “Open Internet” Testing at St. Gregory. As I’ve written before, I think this assessment approach is a highly valuable one for promoting deeper learning, information literacy, and analytic and organizational skill development over memorization and regurgitation. I think that many tests in most subjects can be, with the right intentional design, “open internet” and that they will be the better for it. Some argue against tests altogether, but I still love a good test, and taking the time to think through as a teacher what kind of questions can we ask which will continue to be meaningful assessments when Google and Wolfram Alpha are available is, I think, a highly productive exercise, and, of course, will generate a more authentic assessment experience far more well aligned with the real world of professionals for which we are preparing our students. Below is a report about another experiment with this approach from our Theater teacher and director, Lisa Bodden. Comparing my approach to teaching this course with the last time I taught a similar version I realized that the major thing that has changed is the student’s access to technology. Did I still need the students to buy a heavy, although comprehensive, textbook? No, the information is available at their fingertips. Did I need to order lengthy videos describing very limited topics and spend time plucking out the important details? No, YouTube is almost too easy and has a plethora of informative videos, performances, and interviews with scholars and professionals. Therefore, did I really need the students to regurgitate information or could I ask them to utilize Internet resources and their class notes to compose essays based on questions that they helped craft? The “answers” the students created in response to the essay prompts not only proved to me how well they understood the information, but also allowed them to maintain their individuality, voice, and opinion. I asked for historically specific information, but they could choose who and what on which to focus. The test went very well, in my view, and I will happily turn to this method again and again. Although this will not be my only method of assessment, I consider it a success. Compare and contrast the tragedy and comedy of Ancient Greece using examples of playwrights and plays. Chronologically identify and compare and contrast the three main tragedians, identify their backgrounds, contributions to theater history, and plays. Explain Aristotle’s 6 elements of tragedy, how they worked at the time of conception and how they might work in today’s entertainments, give examples. Identify and define two important performance festivals of Ancient Greece and compare and contrast them with two important performance festivals of today. Identify the origins of theater and drama in Greece. Explain what the Greek chorus was, who was involved, what they did, how they functioned, and how did they affect plays of the time. Surveying the students: How did this test compare to others you have taken for other classes? I liked how it made us understand the topic more. I also found it harder than multiple choice because you had to analyze rather than know the info. I really enjoyed the format of the test, where I could use open notes and write an essay on a certain topic. It was very helpful, and I felt as if I had a lot of more information than I would have had if I had just memorized the information. I thought that this format was very effective, because this way its not so cut and dry right answer wrong answer, it’s more opinionated, which I like much more. I liked the format of the test. I liked the way we got to look online for facts about a certain topic, then write an essay about it. This test does not have multiple choice or terms that we had to define. This is more about testing your ability to find resources that you need, write a quality essay under pressure. I find I like the multiple choice and defining terms better. I thought that this test was very good. It took all class, and was very easy to prove how much you knew. By using our notes it shows that we actually took them, and by using a bibliography, we were doing more than just theater history. I really liked this test!! In this class I think this was the correct format for a test. I also think that we would be able to take tests like this in subjects such as English and History, whereas classes like Math and Science you can’t. This test is the best way to judge or understanding of the topic because you see our opinion and how we see and understand it. I liked this test because it allowed me to show what I know. With multiple choice tests, that’s not always obvious (it could just be a lucky guess or limited knowledge of something). Short answer takes too much time and also isn’t the best option for full explanations. I also liked how we had some input on the test, because not only were the suggested questions helpful for studying, but it also forced me to think about the test long before the morning of. This test provides more freedom than other tests, so students can show what they thought to the teachers. It’s interesting that we have so many “adult” conversations about these kind of topics, often attached to wringing of hands and deep seated fears. I’m not sure that we should be so concerned about these kind of innovative ways of looking at things given that many of our current assessment practices are hard to justify – the students’ comments about multiple choice are indicative of one major problem of testing. Multiple choice is simple to mark, but extremely hard to create and most mc tests that I look at have clearly not been created with the kind of time or thought that was required. When we listen to students’ voices, it’s amazing how they tell us “truth”. The students above are not looking for an easy way out. They are looking for the ability to really use their minds (analyze), to be able to demonstrate their thinking capacity (how we see and understand), to prepare in a meaningful way (long before the morning of). I administer computer based testing and have found that using computer based exams help meet the diverse needs of exam administrators in the academic, certification and licensing realms. Computer based tests provide fair and easy access to everyone. 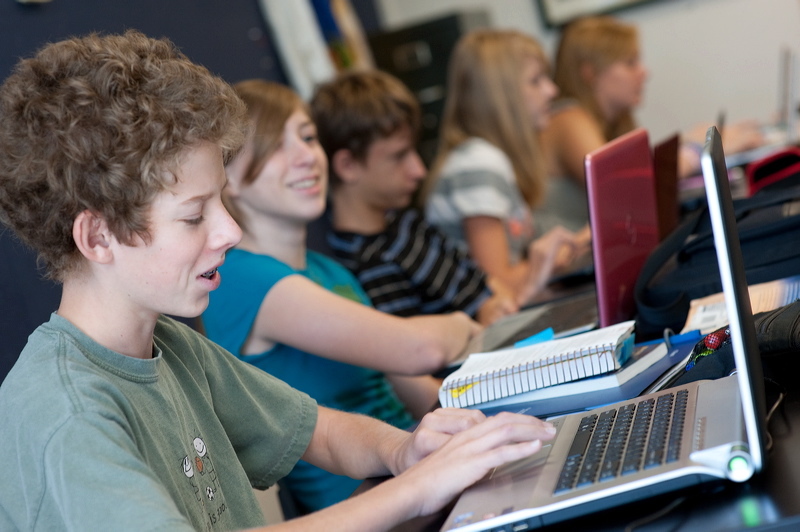 Moreover, enabling the use of computers would improve readability, thereby simplifying the grading process and deter cheating.